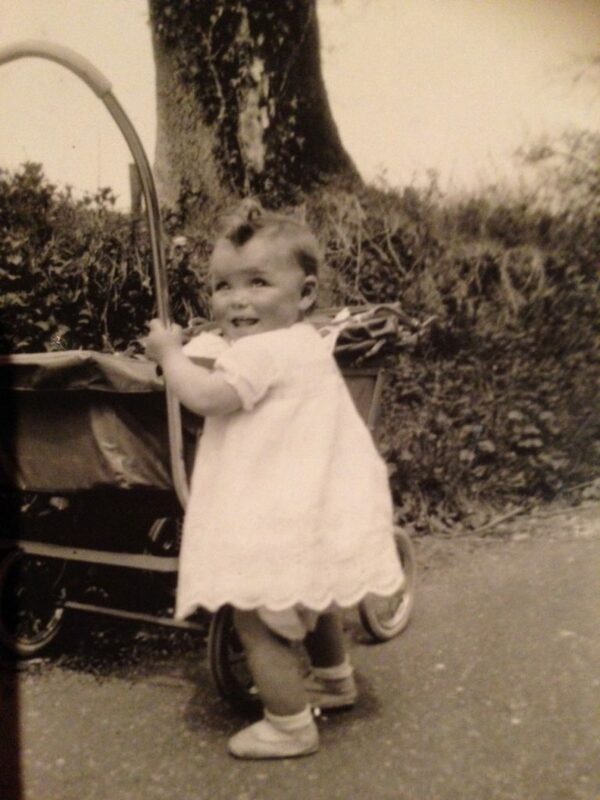 Those early years – me as a very little girl. I was born in Kent, Southeast England just after the war started in 1940. I often think of my mother who must have been petrified just even carrying me during this time – with war planes constantly overhead. She would have had no idea what was going to happen to her, or to me. We know now that even in utero whilst the child is being physically formed, the brain is being influenced by what is happening through their mother’s life experiences. My father said good bye to my mother and me when I was just two weeks old. He left to served as an Army Officer in India and was not to return for over six years. Over these six years, my mother and I were bound together. It was only us. We were inseparable – we did everything together. We even slept together because during these war years in an indoor Morrison Shelter to protect us, which had a plate of steel on top surrounded by a wire fence around our bed. My mother used to talk of my father, and what I remember keenly is that she used to tell me that when we had day, Dad had night. 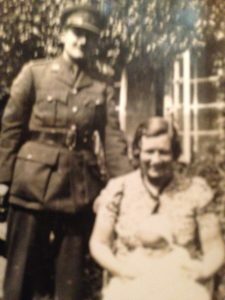 My mother went off to work during the war, as most women did, as a telephone exchange operator, and so I went to a daycare very early in the morning and my mother would pick me up later in the day. Daycare has been around a long time! However, because of the war and where we lived, when I was three years of age I was sent right up north, leaving my mother behind, to avoid the bombings. I lived in a stranger’s home with other children who had also been evacuated. I didn’t see my mother for a whole year. I am not sure how I coped, or my mother… the impact is quite difficult to understand. It was my mother who could not handle it any longer and came to collect me one day. So much was to change for me following this day. Suddenly, I had to share my mother. My father used to say, ‘Can’t you do anything without your mother’ which used to make me feel awful. I felt like he was the stranger and the intruder, but he made me feel like I was the intruder. Suddenly my mother is not who she used to be for me. Dad and Mum with me on the lap at two weeks old. I had been spoilt by my mother, grandmother and aunties during these early years – or so I was told. I was an only child, the only grandchild, and a girl. Suddenly my father was here, and I had no idea about his role in my life and our family, and he was very strict and authoritarian. He tried desperately to change me but I think it was too late. I am not sure how I processed all of these early years as a little girl. I know that I survived, but it did impact me. What I know today and have known for many years about myself is that any hint of rejection from someone, any which way, I feel like I’ve been wounded right in the middle of my chest. I still have to manage this rejection today. I think I am better at managing this, but it doesn’t go away. This is the morale of the story – that our early, formative years do impact us. Those early years are so important; that wherever possible we need to provide a really secure and safe environment for our children. It’s fine to be vulnerable, and it’s fine to get old with your vulnerabilities. We are never going to be perfect, but don’t be afraid to look at your early story because that is who you are, and even where there may be sadness and confusion, there can be beauty there too. We have to love and accept ourselves, otherwise we cannot love and accept others. Val is a Wife, Mother, Grand Mother and Great Grandmother. A trained registered nurse who was in leadership in the community and church sector for a large part of her life. She re-registered as Nurse in her late fifties. This year in her seventies she went to university for the first time to study philosophy and ethics. She wanted to keep curious, learning and growing and had to be in an environment where she would hear the reflections from the younger generations.